Ever wonder who keeps the PSA engine running? A team of talented, intelligent, and fun people are working hard every day to ensure PSA leads the charge in the electronic security industry. Get to know us a little better! 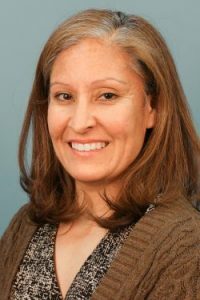 Meet Michelle Garcia-Russell, Customer Service Representative at PSA. My main role is to assist customers with order entry, part numbers and pricing, tracking information, and troubleshooting any order issues that may arise. I started in the middle of May. Can you share a little bit of information about your professional background? I spent the last 5 years working for Verizon Wireless. I specialized in guest services as well as the operations side of the retail business, concentrating specifically in inventory management. What was it about PSA that caught your interest? I applied based on the job description, but the interview process was top notch. The overall interaction with the business prior to my official job offer gave me an opportunity to really see how I would be treated once I hired on. The learning process and knowing that every day is a new day and the instant feel of being part of the team. Baking, kayaking, riding my new bike, and getting to spend quality time with my family.